Shopping for Captain America Bags? For your bathroom stuff. Carry around your toiletries and bathroom stuff in a toiletry bag that looks Marvel-ous! 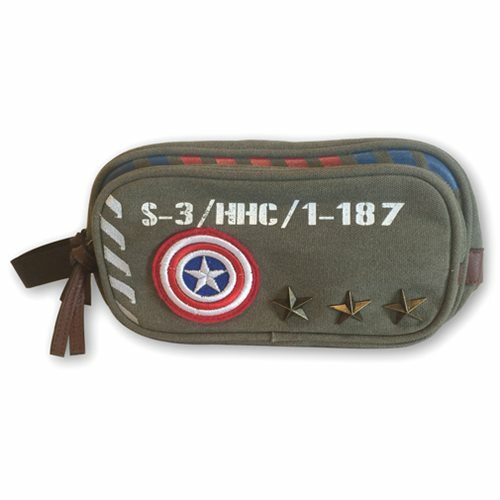 The Marvel Captain America Vintage Military Army Toiletry Bathroom Bag is a must have for fans of Captain America! The toiletry bag is made of canvas and features a vintage military design. Measures about 10 1/2-inches wide x 6-inches tall x 3 1/4-inches deep.